#dayone : Taking the plunge into the deep end. Here we go… from hobby to business. 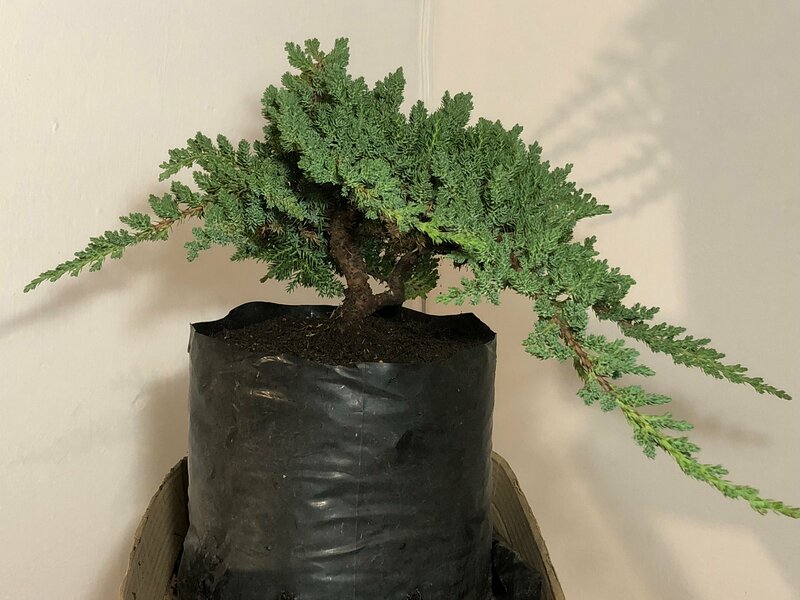 Yesterday I spend most of my day on the road looking for trees that I can buy and transform into bonsai to sell at a later stage. I thought that this was going to be a easy trip and that I would be back home before lunch. Was I in for a big surprise. Author africanbirdingPosted on June 30, 2018 June 30, 2018 Categories GeneralLeave a comment on #dayone : Taking the plunge into the deep end. Here we go… from hobby to business. Day Two: Styling my first stock tree(Juniper Procumbens Nana). From nursery tree to “potensai”. Yesterday I styled my first stock tree. I know this sound a bit weird. I am currently busy preparing stock that I will be selling in a few years time. This can be four year or even more depending on the environment and the growth rate of the different tree species. I will be showing how I transformed this nursery plant into a potential bonsai or as we say in our club “potensai”. This was the tree before I started to work on it. Please note that this tree was picked from a bunch of other trees that was for sale at the nursery. I looked for trees that had nice thick trunks and that had growth close to the trunk. The tree that I worked on was very dense. I could only see the trunk and one branch when I started. 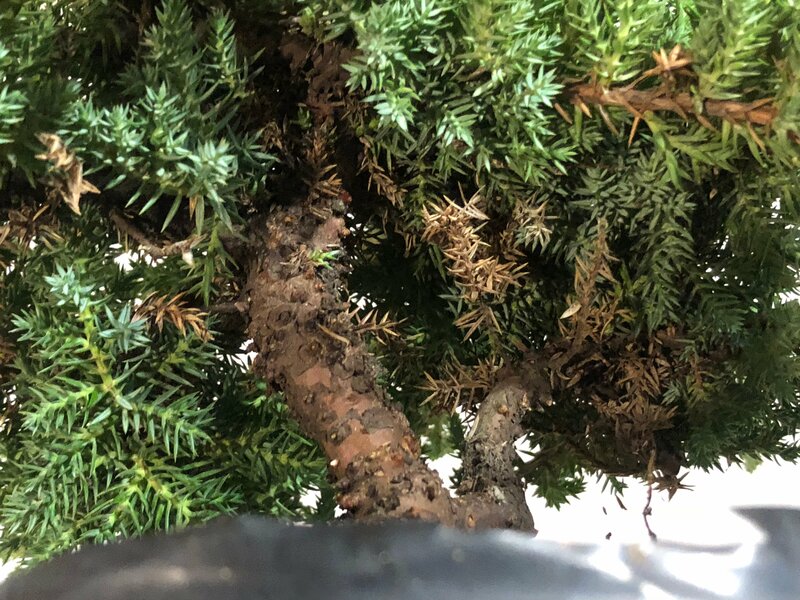 Author africanbirdingPosted on June 30, 2018 Categories GeneralLeave a comment on Day Two: Styling my first stock tree(Juniper Procumbens Nana). From nursery tree to “potensai”. The last two nights of our Kgalagadi National Park visit were spent at the Gharagab Wilderness Camp, a truly beautiful place, which can only be accessed with a 4×4 vehicle. It is a place of quiet and solitude and we saw little other than the birds around the camp, although a few antelope did come to drink at the waterhole. Reading in the visitors’ book, we saw many stories of lions and hyenas that often spend the night in the camp, keeping the residents awake with their antics, but unfortunately they did not visit us. We did get a glimpse of a Honey Badger one afternoon, but it was quite far off and it soon disappeared! The tents at Gharagab are very comfortable and we really enjoyed our stay there! We moved from Mata Mata to Nossob, where we spent four nights, once again occupying one of the new riverside cottages. These are very comfortable and give one an uninterrupted view of the river, however, there were very few wild visitors to our section of it. Whereas we had previously had wonderful sightings of Lanner Falcons catching Namaqua Doves at the Nossob Camp, these were totally absent during our visit.